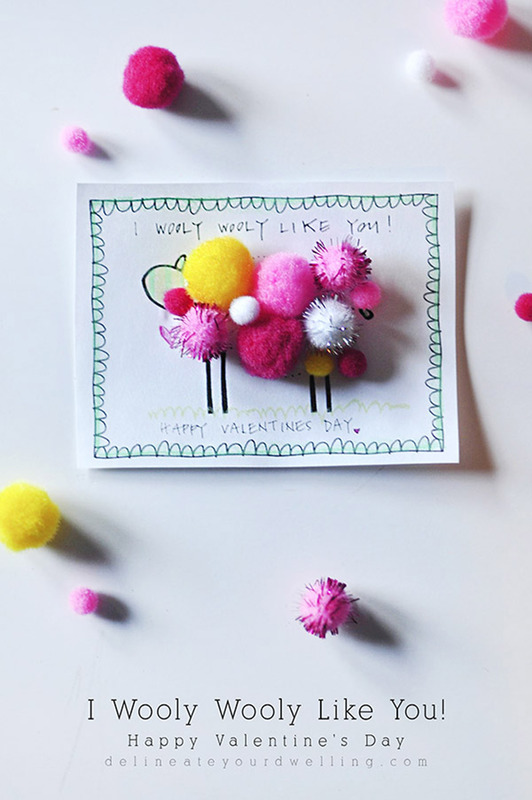 Today we have this darling I Wooly Like You, Valentine’s Day Printable. 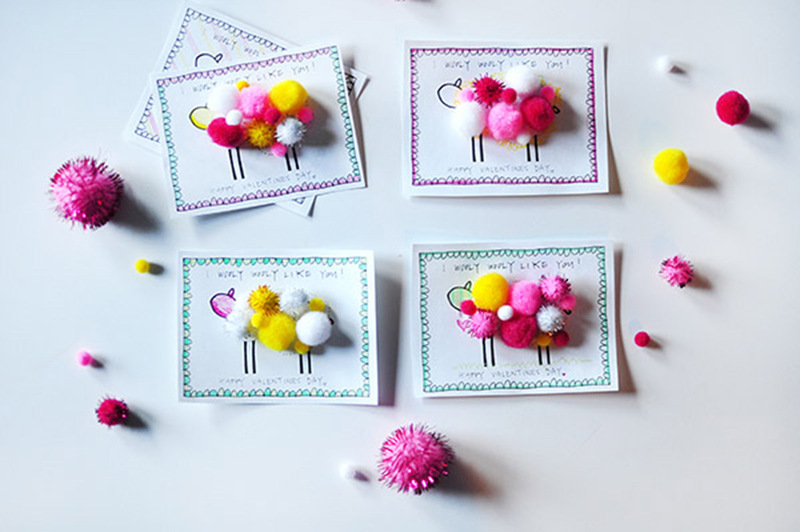 Kids will love the colorful pom pom’s! 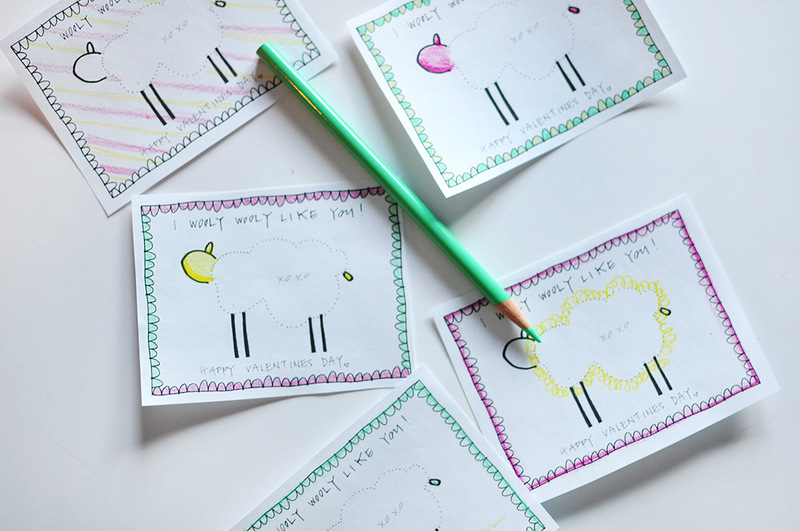 Stock someone with craft supplies with this super cute crafty Valentine! Don’t miss these amazing Valentines. I have teamed up with some of the most creative bloggers to share the cutest Valentines imaginable. Each day you will be amazed with their cleverness! You will want to stop by and see these fabulous ideas. Hello, Skip to My Lou readers! It’s Amy from Delineate Your Dwelling, a colorful craft + DIY blog. I am so excited to be here participating in Cindy’s Valentine’s Day printable series. 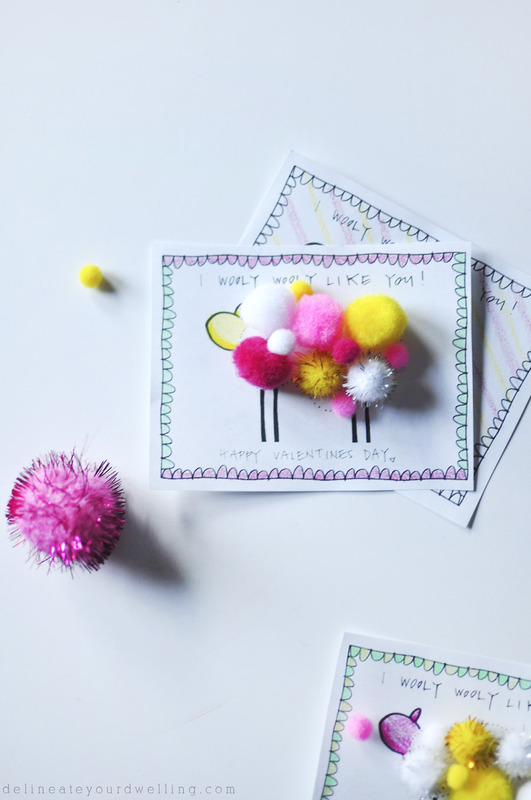 Today, I am sharing a fun pom pom craft you can do with your kiddos, as well as a free I Wooly Like You, Valentine’s Day printable to go with it. 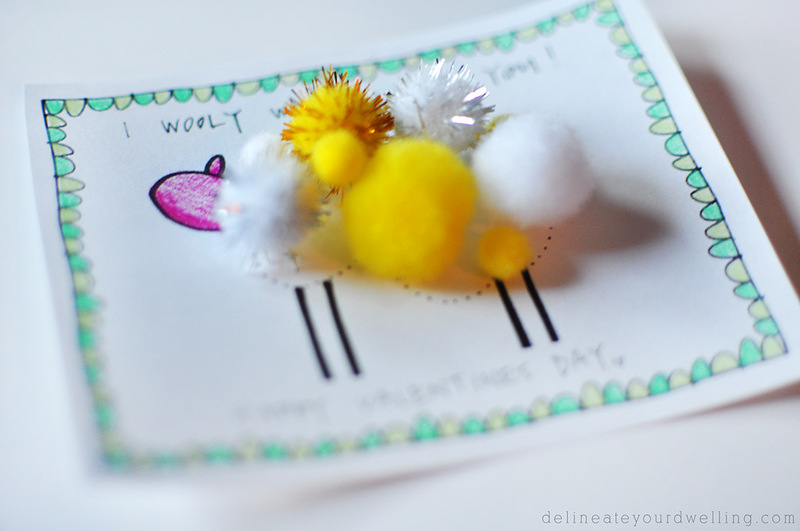 First, cut out your wooly sheep from the printable sheet. There are cut lines to make this a breeze. Next, grab your favorite colors and go to town! 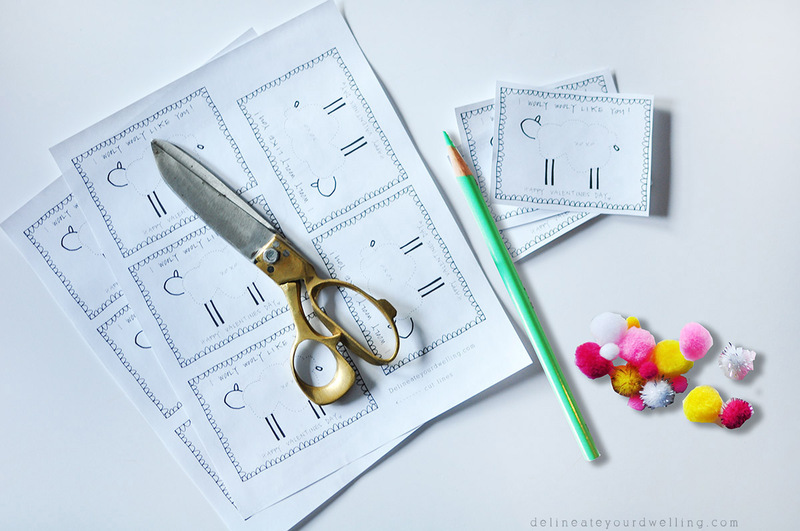 This is a great activity for your kids to draw patterns and colors, personalizing each Valentine as they like. Next, gather a handful of pom poms that you plan to use for each sheep’s wooly coat. Be sure to use medium and small sized pom poms, as the bigger sizes are too large. Add a drop of glue on your sheet and adhere the pom poms to their coat. Once the glue dries, you are left with an adorably Wooly little sheep! Thank you so much for having me today, Cindy! If you enjoyed this Valentine’s Day printable, you might like a few of my other Valentine’s Day projects. I created a Geometric Heart Coloring Page, a Heart Painted Candy Box perfect for storing all the delicious Vday candy and an adorable kid’s Cupid Bow and Arrow craft! I’m Amy! Delineate Your Dwelling a place where I share colorful and creative crafts + DIYs. You can see more of Delineate Your Dwelling on Pinterest | Instagram | Facebook | Twitter.